"i can't believe you aren't here anymore. i really can't wrap my head around it." Today, Grande shared a video of Miller to Instagram. She captioned the post, "i adored you from the day i met you when i was nineteen and i always will. i can't believe you aren't here anymore. i really can't wrap my head around it." She continued: "we talked about this. so many times. i'm so mad, i'm so sad i don't know what to do. you were my dearest friend. for so long. above anything else. i'm so sorry i couldn't fix or take your pain away. i really wanted to. the kindest, sweetest soul with demons he never deserved. i hope you're okay now. rest." Miller and Grande dated for two and a half years, announcing their breakup in May of this year. The pair cited increasingly busy work schedules as the reason for their split, though they both claimed to remain "the closest of friends." 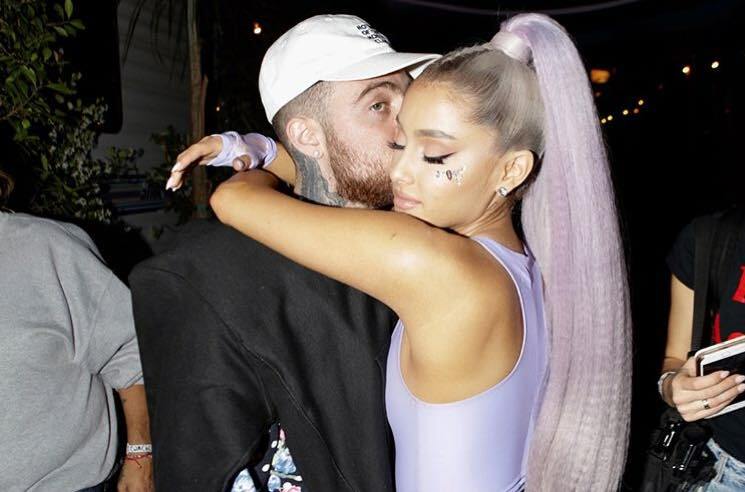 They previously featured on each other's songs like Grande's "The Way" and Miller's "My Favorite Part," and Miller stood by Grande's side onstage during her "One Love Manchester" benefit concert last year.